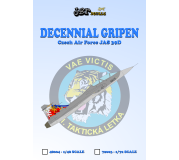 Decal set for JAS 39D kit. 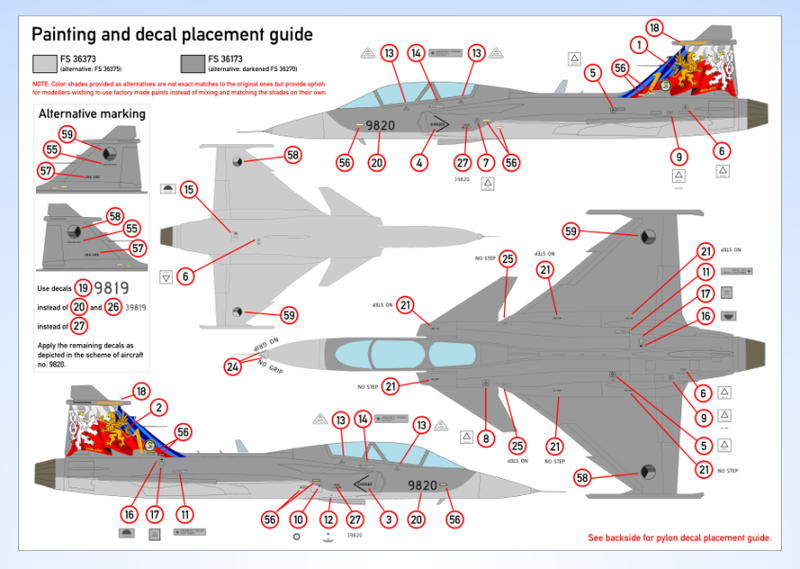 Contains decals for Gripen no. 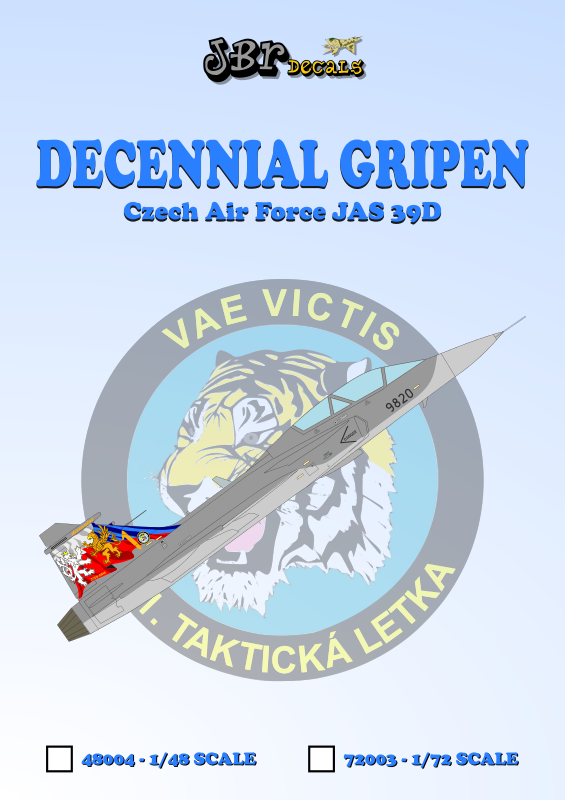 9820 with the special tail art commemorating the decennial of Gripen service in the Czech Air Force. Contains alternative decals allowing to build no. 9819 and 9820 without the tail art.